Take a load off. 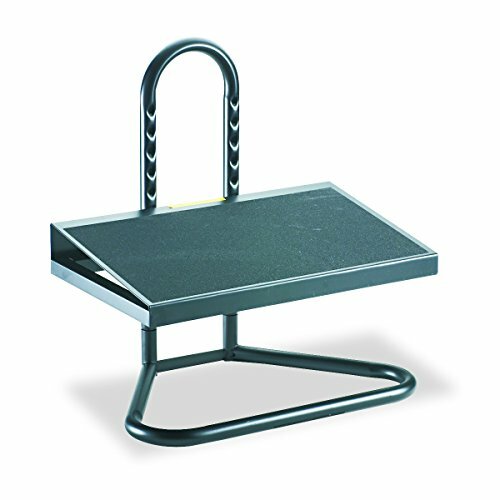 This Task Master Adjustable Footrest relieves pressure points in workers who stand most of the day. Textured, anti-slip platform mounts at an 8° angle. Locks together easily with button tabs. Nine positions and height range of 5 1/2" to 15". Heavy gauge black tubular steel construction. Nine positions and height range of 5 1/2" to 15"